Save 40% on my figurative language resources by buying the bundle!Please see the preview for each resource before ordering.-------------------If you purchase this and would like to earn credits to spend on TPT,Click here to leave feedback.Beside each purchase you will see a "provide feedback" link. 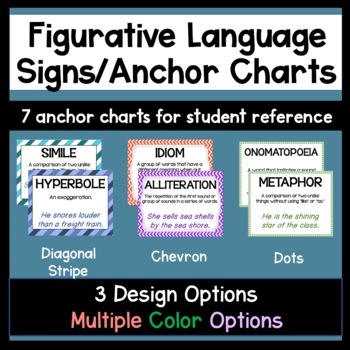 This resource includes seven figurative language 8.5x11 posters with definitions and an example of the figurative language. 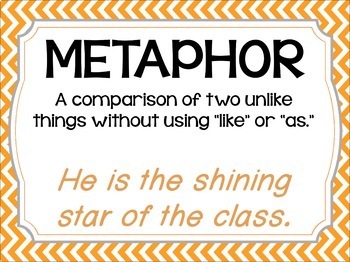 Simile, metaphor, alliteration, personification, hyperbole, onomatopoeia, and idiom signs included. Snow Day Poem: full of figurative language w/ worksheet.